The current outer wall of the "Old City" of Jerusalem was built in the 1500s by the Muslim Ottomans. Concerned about Jewish Scripture about the Messiah, after initially building this gate they filled it in with concrete. 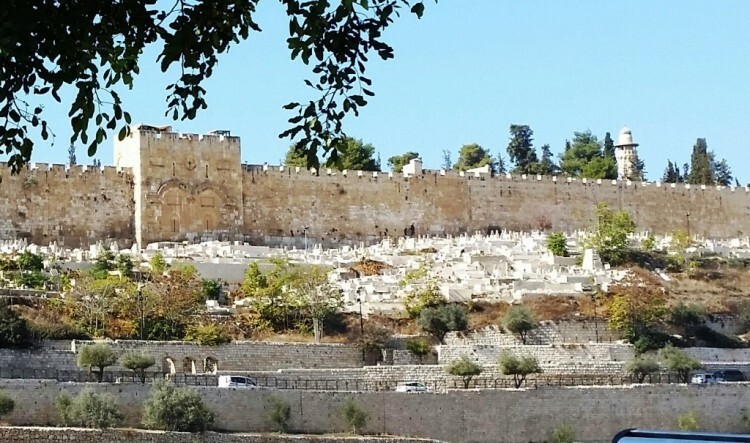 To try to make "extra sure" that this Jewish King-Messiah would not enter Jerusalem (and overthrow the Muslim-Ottoman empire) they also put a cemetery directly in front of the gate. This was because they read in Jewish Scriptures that the dead are unclean and a holy man (such as the Messiah) would not defile Himself by walking through a cemetery. This, they thought, would keep Him out. 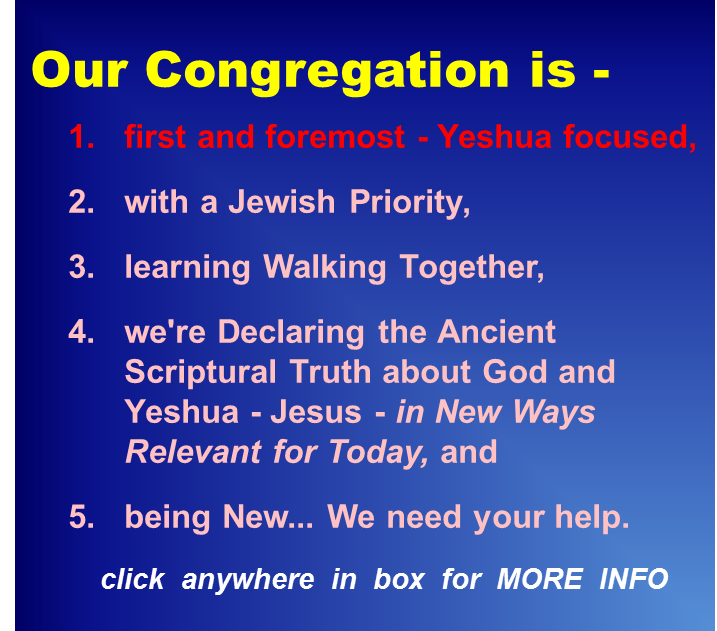 Ahh, but the King-Messiah of the Jewish Scriptures is the Spotless Lamb of God - Without Blemish. When He touches the unclean it becomes clean. When He touches the sick, they are healed. When He touches the dead ... THE RISE TO LIFE. Sorry, 26 feet of concrete and a few dead bodies are NOT going to stop the King of Kings and Lord of Lords - Yeshua - Jesus from walking into Jerusalem and sitting on His throne there to rule Heaven and Earth! 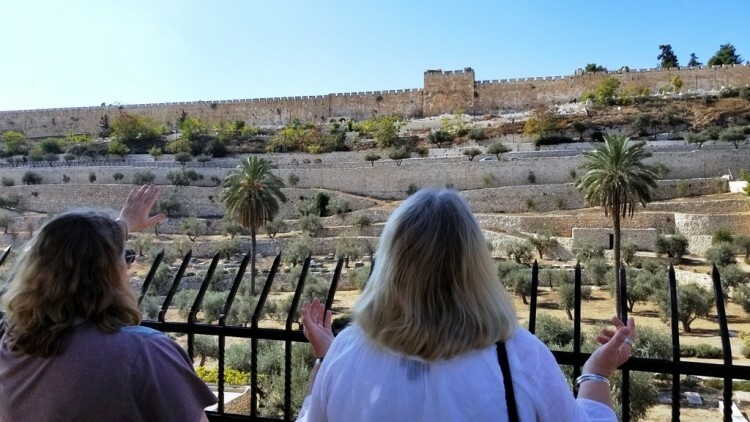 BELOW: Two of our team - Melissa and Sue - pray at the Golden Gate for people to receive Yeshua as Messiah, Savior and Lord before He returns to Jerusalem through the Golden Gate.